Millions of people have their identities stolen each year. It can cost hundreds of dollars and countless hours to resolve an identity theft crime. While I’ve never found myself a victim of identity theft personally, a close relative of mine had their identity stolen a few years back. It’s a stressful position to be in and it can definitely feel unfair. If you recently found out someone has been using your identity or applying for credit in your name, there are a few initial steps you should take immediately. One of the first things you’ll want to do, aside from checking your credit report to assess any damage, is to contact all of the three major credit bureaus to make them aware of your situation and request that they issue a fraud alert to your credit report. This should help cease any fraudulent activity from continuing. Fraud alerts typically remain on your credit for 90 days, but you can extend the alert as needed. It’s important to keep specific records regarding your situation from the moment the issue is brought to your attention until it is completely resolved. As you make phone calls, send emails, and mail letters out, keep a detailed list either on your computer or in a notepad of who you talked to and when to stay organized in case you get the run-around in any way. You should also keep track of how much time it takes you to get the issue solved and if any expenses arise as a result. You can deduct theft-related expenses from your tax return. It may be a good idea to file a report at your local police station to document the theft. Come prepared with any paperwork or proof you can gather up and take a copy of the report home. Another document that you can ask for at your local police station or pull up online is the Identity Theft Victim’s Complaint and Affidavit. You can offer this form to creditors to help support the fact that you are not responsible for transactions and activity on accounts that were not opened or used by you, and allow them the ability to investigate the account further. It’s important to change all your pin numbers for debit and credit cards along with your bank login information. You should also make sure your accounts are closed for good and order new cards just to be safe. One of the final steps will include contacting lenders and debt collectors to get negative records removed from your credit report and resolve the issue. Make sure you make copies of the letters you send along with any emails. The debt collector should be understanding when you tell them that you are a victim of identity theft. If they end up asking you to pay for the debt anyway, involve the actual lender and prepare all your defensive documents to dispute it. Do not sign anything and don’t agree to anything without having it in writing in case the creditor is determined to make you pay. It may take some time and effort, but as long you follow all of the steps above and stay organized regarding your paperwork, you’ll have the issue resolved and be able to setting back into your normal routine. Whether you’ve experienced identity theft or not, most people are at risk of becoming the next victim, even your kids. Luckily, there are several ways you can try and prevent identity theft from affecting you. Check your Credit Report: Checking your credit report regularly for changes or inaccuracies is a great active way to prevent identity theft. You can check your complete report from all credit bureaus for free annually at AnnualCreditReport.com, or you can sign up for a free service like CreditKarma or Credit Sesame that will monitor your credit from two of the three main bureaus. Protect your Computer: Install spyware programs and update your firewall to protect your personal information from thieves who use software and viruses to hack the information stored on your computer. Also, make sure you use secure wireless networks when you are away from home. Be Mindful of What You Carry With You: Don’t carry personal information around like your pin or account numbers or your social security card. If you ever lose your wallet or have it stolen, a lot could be at risk if you carry around personal information like that. Only consider carrying information on you like your passport, blank checks, etc. if you plan to use it that day and be mindful of how you maintain your privacy when out in public. Shred Important Documents: If you’re decluttering or need to get rid of certain documents, make sure you shred them safety and throw the pieces in separate garbage bags to avoid allowing anyone to gain access to personal information like your account numbers and social security number. Be Careful When Shopping Online: Make sure you shop on safe and secured websites if you need to make any online purchases. Unfortunately, even well-known and trusted companies (like Target and Home Depot) have gotten hacked before. This has put customers’ information at risk, so it’s best to be safe and check out with PayPal as often as you can if the website uses that form of payment. Sign up with an Identity Protection Company: An identity protection company will help you do all of the above and more when it comes to protecting you from becoming the next victim of identity theft. Most companies possess cutting edge programs and encryption software to monitor your credit and identity 24/7, scan the internet to remove any public information that you want private, and alert you and the credit bureaus when any fraudulent activity is suspected quickly. These companies require paid memberships that run anywhere from $10 to $30 per month, but for some people, it’s worth the investment. Another great benefit about these companies is that they often offer lost wallet protection and insurance in the event that your identity is stolen while you’re a member. 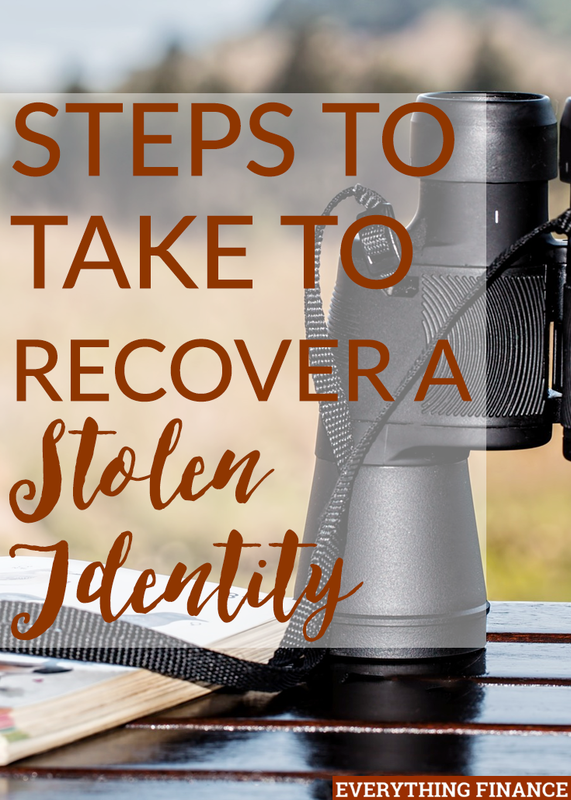 As a result, you wouldn’t have to spend any money out of pocket or go through the tedious process of trying to restore your identity on your own. Do you monitor your credit regularly? What are some ways that you protect your identity? Have you ever had your identity stolen?